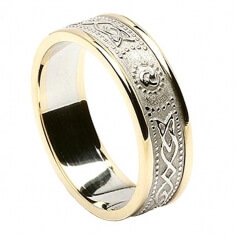 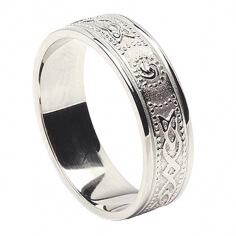 The Celtic shield design on this narrow silver wedding ring was inspired by the Ardagh Chalice. This narrow band is great for anyone with Irish heritage or a fondness for Irish culture. 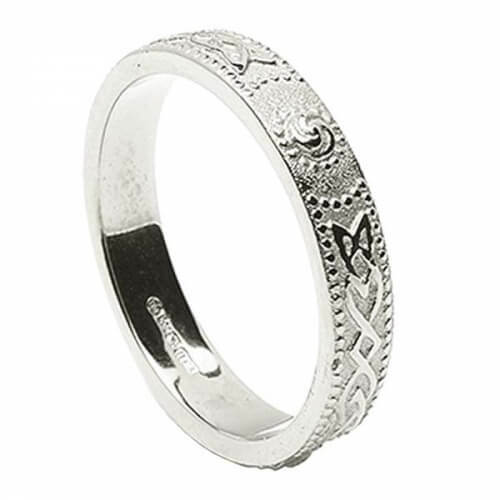 Crafted from the finest Sterling silver and wonderfully presented in a luxury ring box. 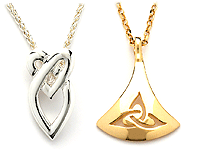 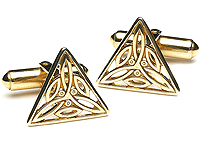 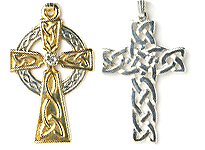 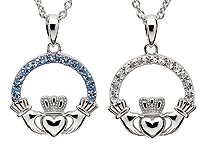 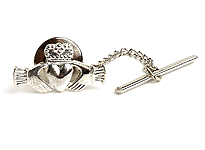 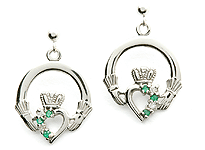 Handmade in Ireland and hallmarked by the Dublin Assays Office.